Mark Essery is a 26-year-old forward from Framingham, Massachusetts. 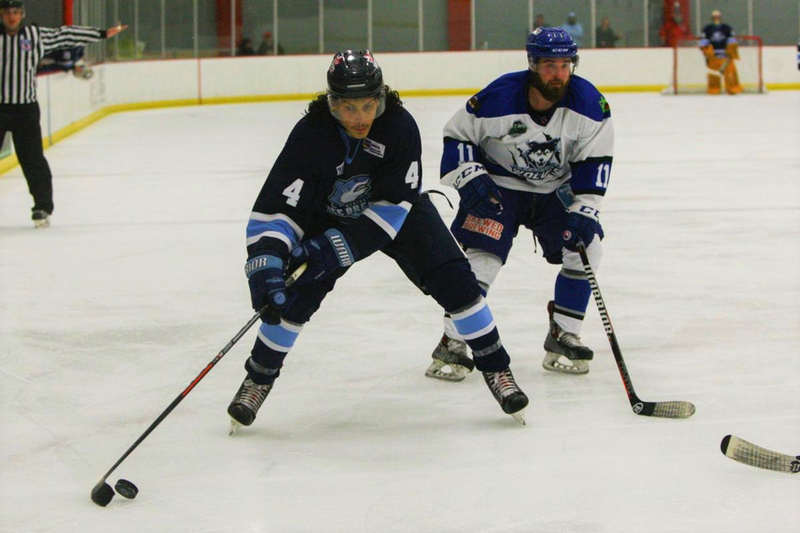 Essery, who stands at 6-foot-1 while weighing in at 185 pounds, leads the Ice Breakers in scoring with 13 goals and 16 assists for a total of 29 points over 28 games. He played four years of junior hockey in the MetJHL and the AtJHL before playing collegiately at his hometown school, Framingham State University (NCAA Division III). Essery collected 38 points (17-21-38) over 82 career games at Framingham before playing professionally in Germany last season with the Dinslakener EC 2009 Kobras. He scored 11 goals and dished out 18 assists for 29 points in 17 games in Germany before coming to the Ice Breakers this season. Q: How did you end up with the Ice Breakers? A: Last year before I went to Germany, I met Brody Duncan at a camp in Danville and we hit it off. This summer, he texted me about the new team coming to Mentor so I emailed coach my resume right away and received an invite to camp. Q: What's it been like playing in Mentor so far? What's your favorite part about Northeast Ohio? A: Mentor has been awesome. The organization and the owners have taken such great care of us, support for us has been great, and we learn a lot from Coach Duncan every practice. Willoughby is another cool area we’ve enjoyed exploring and eating in. My favorite part of NE Ohio, though, has been the Cleveland Browns. They’ve been exciting to watch and their games are a blast to go to, so I have definitely jumped on the bandwagon. Q: What was it like playing in Germany last season? A: Playing in Germany was unbelievable. On the ice, the game is a lot more fluid and creative, so it was a fun style to get accommodated to. Off the ice, it was a great experience living in a different culture and being able to explore so much between Germany and other parts of Europe. The food is fantastic, the people are all super friendly, and scenery is beautiful. Plus, my dad goes out there for business trips quite often so being able to see him over there was a nice bonus. Q: What's been going right for you this year that's helped you become the team's leading scorer? A: A lot of it stems from the players here and style of game we play. We have a very fast, skilled, hard-working team which generates a lot of chances and we have a good spread of guys scoring and making plays, so I just go to the net and try to do what I can with whatever opportunities I get. In addition, the organization and rink give us everything we need to get better between the intensity and structure of practices, being able to pick a former NHL player’s brain daily, and the availability of so much extra ice time to work on our own things. A: Probably döner kebab and fries. It’s a German and Turkish dish, but you can get them at Mediterranean restaurants, too. A: I have a pretty eclectic music taste so I listen to pretty much everything and go to a lot of concerts. My favorite artists, though, are the Red Hot Chili Peppers and probably Mac Miller. A: I am a dual citizen of Canada and the United States. Q: What's your favorite hockey memory? A: Every year for the last seven or eight years, my best friends from juniors and I play together in a charity tournament called the Kevin Majors Memorial. We finally won it the last two years, and the most recent one we were able to win for a friend whose father passed earlier that year. It was pretty special feeling when were able to pull off the repeat. Q: Who's the funniest person on the team? A: We have a couple funny characters around the locker room, but I think Declan Conway is the funniest for sure. A: I'm kind of a nerd, so no special talents really come to mind. Q: What's your greatest achievement? A: Aside from being able to live out a childhood dream of playing pro hockey, graduating university is the achievement that I'm most proud of.